On November 19, Paul Strawhecker, MPA, ACFRE, and Scott Larson, CFRE, will present at the Siouxland AFP Chapter's annual National Philanthropy Day Conference. 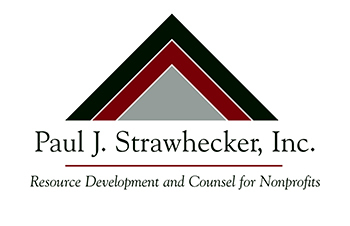 Strawhecker's presentation, “Visioning Your Future," will discuss the importance of mission-directed, project defined fundraising that creates a vision for the future and Larson's, "The Care and Feeding of Volunteers," will share insights on how to maximize volunteer involvment. The conference will be held at the Marina Inn in South Sioux City, Nebraska.